If you’re a hazardous materials carrier and you need to file your 2019 Unified Carrier Registration (UCR), make sure your vehicle count is accurate when filing. Hazmat carriers that are using the MCS-150 vehicle count as the vehicle count for UCR have found that the UCR system is automatically including hazmat trailers when it pulls information from the Federal Motor Carrier Safety Administration’s MCS-150 vehicle data. As a result, the UCR system may be falsely inflating the vehicle count. In effect, hazmat carriers may be paying UCR fees in a higher fee bracket than what is required. Carriers are reminded that trailers are not required to be counted for UCR. The UCR Board is diligently working with its software provider to fix the issue. 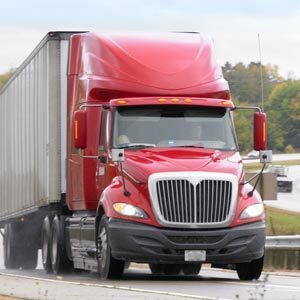 In the meantime, hazmat carriers that have not yet filed the 2019 UCR are advised to use their vehicle count for the previous 12-month period starting July 1 – June 30 when completing the UCR filing. Carriers that have already filed the 2019 UCR with incorrect vehicle counts can request a refund. Just be aware that the refund process can be complex and refunds may not be issued immediately. J. J. Keller® Unified Carrier Registration (UCR) Service is the online toolbox and advisor that will help you cover all areas of the CSA BASICs.